Process engineers in Perth have developed a novel experimental apparatus that can help the global liquified natural gas (LNG) industry breathe a little easier. Their efforts are addressing one of the biggest issues facing oil and gas companies today. During the relatively harsh LNG production process, heavy hydrocarbons (C5+) or impurity gases can solidify and cause plant equipment to freeze. 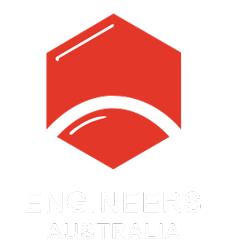 In recent years, Chevron and the Australian Research Council have supported engineers at the University of Western Australia (UWA) to come up with a solution to these equipment freeze-outs. Central to the engineers’ solution is a high-pressure sapphire cell that visualises heavy hydrocarbon precipitation in cryogenic mixtures. The results enable LNG design engineers and operators to prevent blockages from occurring in pipes and other plant equipment, clearing the proverbial airway for LNG processing operations. With natural gas accounting for 24 per cent of global energy production and around 32 per cent of international trade, the challenge posed by plant blockages represents a multimillion-dollar issue for oil and gas companies. 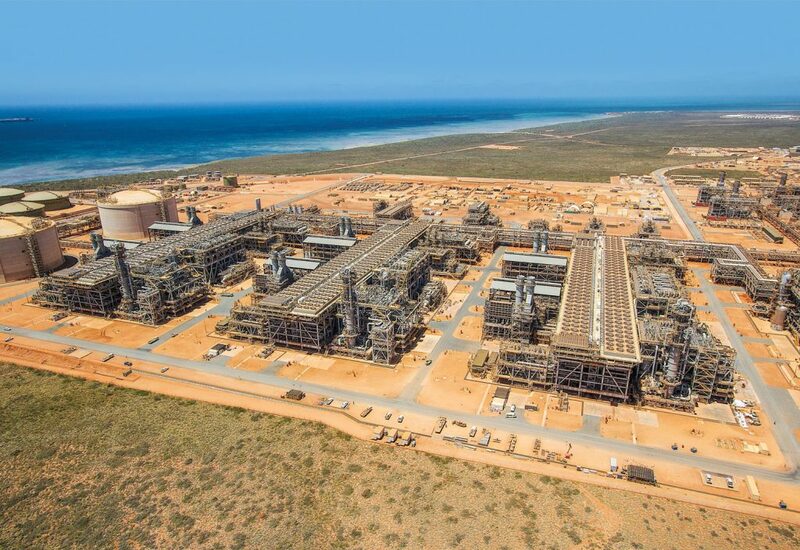 Chevron’s Gorgon plant on Barrow Island, WA. In 2016, Australia exported 52 million tonnes of LNG valued at $23 billion, with Reuters tipping that Australia will become the world’s largest exporter of LNG by 2019. In an LNG plant, the raw natural gas is treated to separate-out carbon dioxide, water and heavy hydrocarbons, which include aromatics such as benzene, toluene, ethylbenzene, xylene, and paraffins such as n-hexane and n-decane. Currently, heavy hydrocarbons are siphoned away in a distillation tower called a scrub column, which aims to remove virtually all components heavier than propane from the gas before it is liquified. UWA’s Chevron Chair in Gas Process Engineering, Professor Eric May, tells create that even trace concentrations of hydrocarbons can result in a freeze-out as the gas is liquefied and cooled to about minus 162 degrees Celsius. “If these heavy hydrocarbons freeze out in the main cryogenic heat exchanger, then it is possible that the blockage can become so severe that a shut down and warm-up of the entire plant is necessary,” he said. One unplanned plant shutdown can result in financial penalties of at least A$10 million if an LNG cargo shipment is missed. It can also cause multiple safety and environmental concerns. The engineers found process simulators currently used across industry often could not accurately predict freeze-out conditions. The simulators currently in operation are based on thermodynamic models anchored to less accurate and often unreliable data, limiting their ability to predict the temperatures at which impurities freeze out. May said his team’s core focus was constructing an apparatus that accurately measured LNG data relevant to solids formation and melting points. Chemical engineer Arman Siavashi has focused on building the apparatus as part of his PhD project. He told create the key component of the apparatus is a Peltier-cooled copper tip, which is able to take accurate measurements from temperatures down to minus 185 degrees Celsius and pressures up to 300 atmospheres. “Imagine putting a glass of water in a freezer and monitoring it to try and predict where the freezing starts,” he said. “You are trying to work out whether the freezing starts from the wall of the glass or from the top or the bottom. It is really hard to know where to look when the nucleation first occurs. The Peltier works by providing power so that one surface is cold and one surface is hot. The surface that is colder is used, and the temperature of the tip is relatively decreased to the bulk of the liquid mixture under study, Siavashi said. “The Peltier’s hot surface is attached to a heat sink to remove the generated heat,” he said. The tip was set up with a 4 cm by 4 cm Peltier module hooked up to a DC power supply. The copper heat sink was attached to the hot side of the Peltier to prevent its temperature from rising and to transfer the heat removed from the copper tip to the air bath. In order to precisely capture the temperature at which the solid-to-liquid transition occurred, a well-calibrated 100-ohm platinum resistance thermometer was inserted into the copper post, which works in tandem with other thermometers installed in the apparatus. The experimental apparatus is not incorporated into actual plant equipment but exists in a laboratory setting in a controlled cryogenic environment that is calibrated to LNG processing conditions. “The first validation test we conducted produced very successful results, so we constructed two more identical cells, which means we can increase the data generation rate,” Siavashi said. He confirmed the three cells generate data at different temperature and pressure environments. The second part of the project involved creating a software interface called ThermoFAST, which is linked to an experimental database and includes the new results produced at UWA. “The software is set up so it can tune the thermodynamic models into data that engineers can interpret easily and [can use to] predict solid formations in their plants,” Siavashi said. The researchers did a case study on a project in Qatar that experienced a freeze-out due to impurity gases and had to shut down temporarily. The research paper showed how the use of a tool like ThermoFAST could have prevented the blockage from occurring. The software has been endorsed by the American-based GPA Midstream Association, a trade organisation responsible for setting standards in the natural gas processing industry. The organisation has now replaced their own modelling software, which was previously available to the industry, with ThermoFAST. The researchers’ primary challenge has been taking accurate measurements, while the second obstacle is precise modelling. “Measuring the freeze-out temperatures in the very harsh conditions of the plant at around minus 150 degrees Celsius and pressures of 50 atmospheres is extremely challenging and not many research groups in the world have such specialised facilities,” Siavashi said. “Accurate and reliable thermodynamic models are strongly dependent on accurate experimental data, which are currently sparse,” he said. 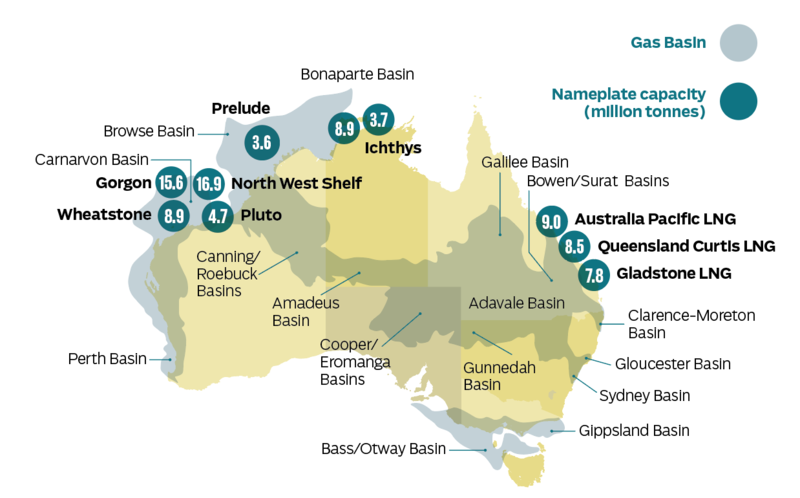 Australia’s LNG projects and gas basins. The more reliable experimental data generated, the more accurate the models will be, he said. The engineers now plan to augment the apparatus with a sampling capability enabling them to analyse the composition of the LNG as increasing amounts of solids form. Siavashi said this will be particularly useful when they study multi-component LNG mixtures, and will further increase the rate at which they can produce data. This article was originally published as “Deep freeze” in the November 2018 edition of create. Nicholas Brant is a journalist and editor specialising in the fields of science and engineering. Based in Perth, Nicholas discovered his passion for science writing early on in his journalism career when he started working at a biotechnology publication. He is fascinated by all things space-related and is keen to chronicle just how far human endeavours can take us.